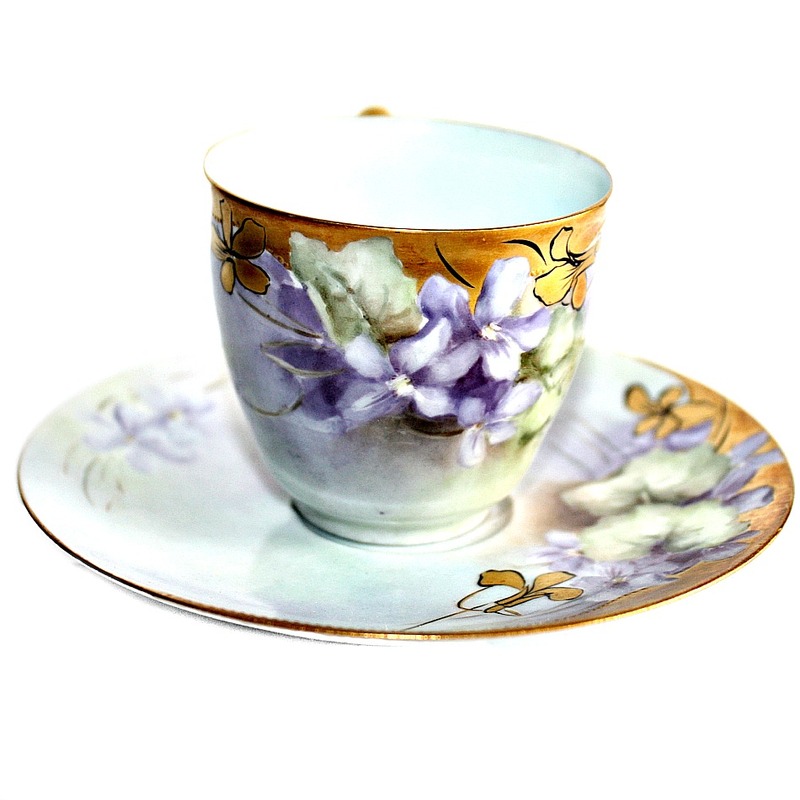 This stunning hand painted 19th century pair features delicious romantic bouquets filled with Victorian Purple Violets nestled in lush greenery on both the cup and saucer. A magnificent work of art meticulously hand painted on a soft ground of Lavender, purple, Blue, Aqua, and Green, all blended with great skill, and highlighted with a radiant gold. 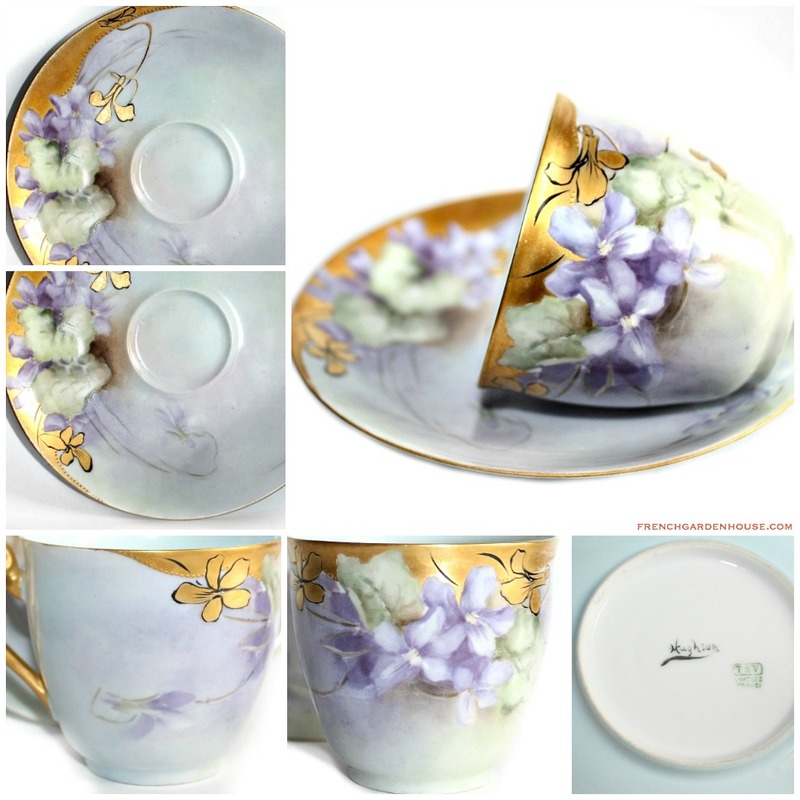 The most amazing color Robin's Egg Blue is inside the cup, which makes this quite unusual and collectible. The photos do not do this justice, the colors and overall soft elegance of this set is divine. 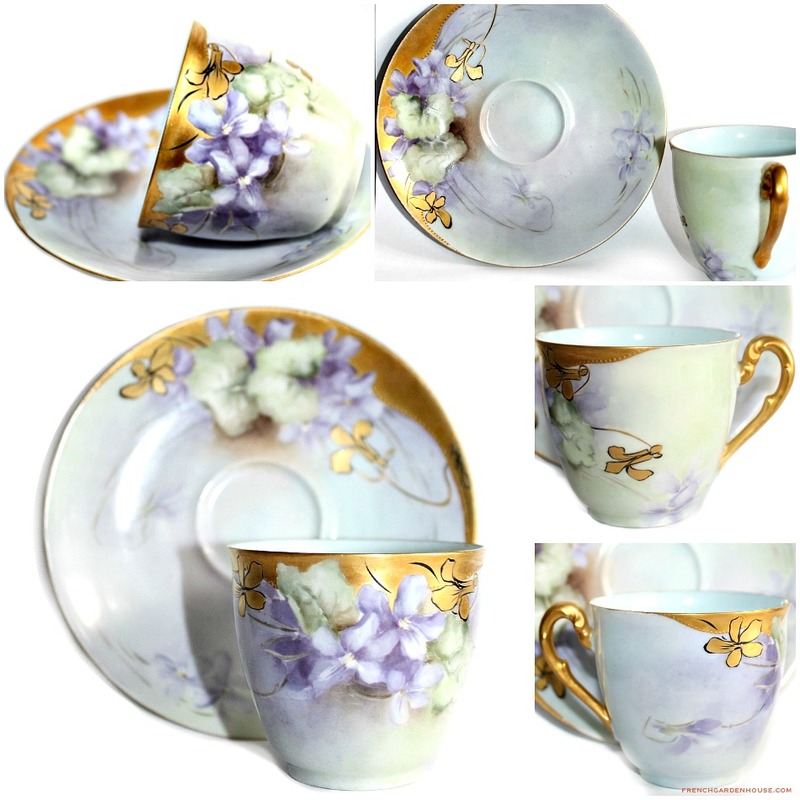 Absolutely gorgeous, a treasure to add to your Limoges porcelain collection, the cup and saucer are further enhanced with black outlining and gilt paste beadwork, a favorite of the Pickard Studio. The masterfully talented artist signed "Hughson" on the bottom of the plate. Marked by the Tresseman & Vogt Limoges hallmark on the bottom of both pieces, this mark was used between 1892 and 1907. 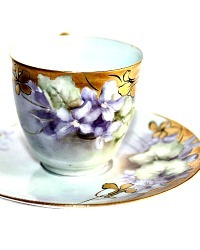 Measures: Cup: 2-1/4" x 2-1/2"; Saucer: 5".